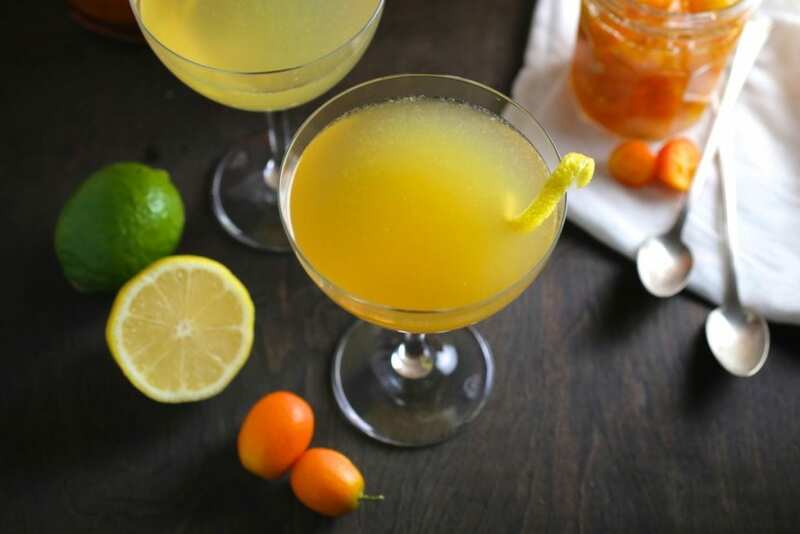 I love tart drinks but I hate commercial sour mix (too many memories of cheap margaritas and the horrors that come from imbibing them with youthful abandon). 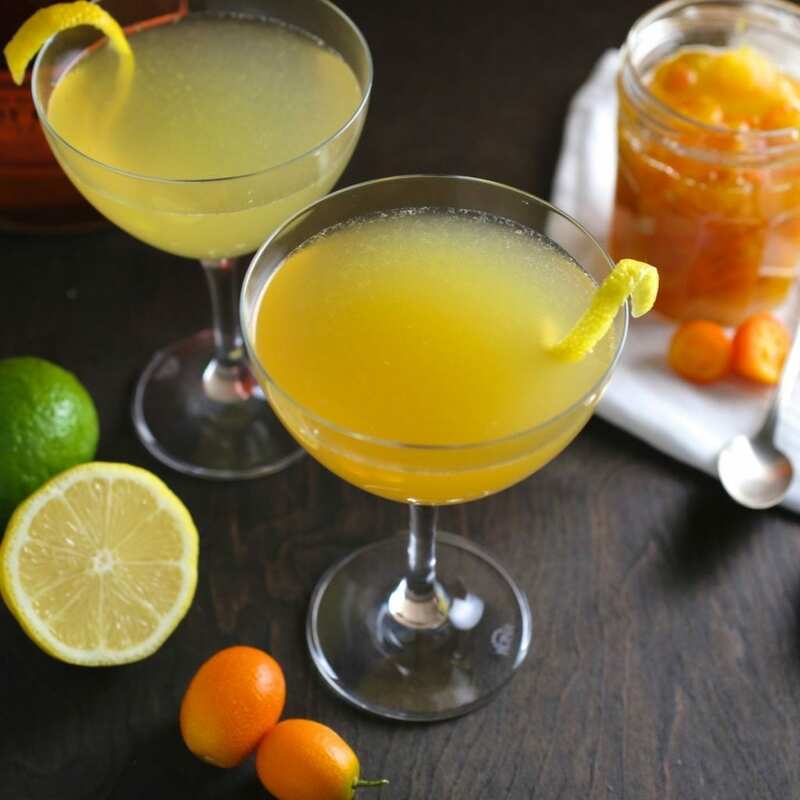 What’s nice about this cocktail is that the tart flavor comes from three kinds of citrus (lemon, lime and kumquat) so it’s fresh and light, not cloying and chemical-tasting. This was Matt’s favorite of the three cocktails we made using our Kumquat-Ginger Syrup. You can balance the sweet to tart ratio to your taste by varying the amount of syrup you add to the mix. Matt likes his on the tart side, so he used 1 oz. I like mine just a touch sweeter and went with 1 1/2 oz. Place the syrup (including a few slices of candied kumquats), lemon and lime juice into a cocktail shaker and muddle a few times to extract all the flavor out of the kumquats. Fill shaker with ice and add bourbon. Shake well and strain into a cocktail glass. 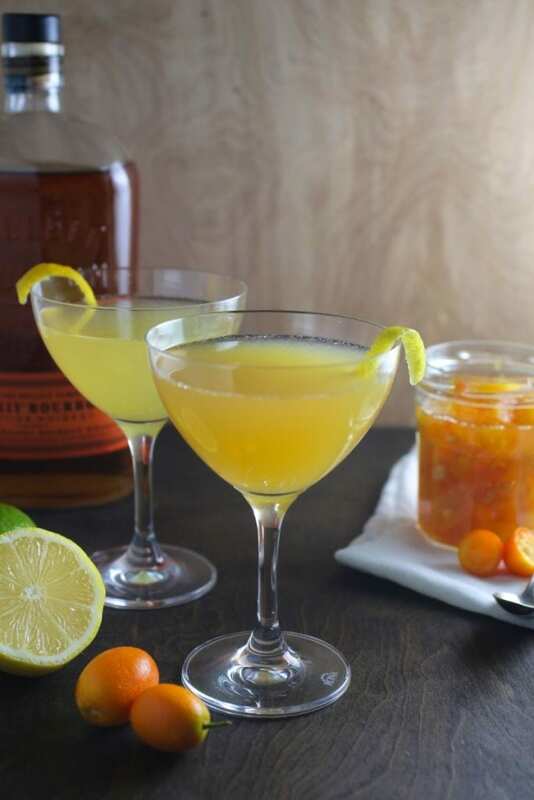 Garnish with a lemon peel twist. Nice recipe you have here! Are you interested in becoming Chicory App’s official recipe partner? thank you! Can you tell us more about what that would entail? Chicory is a blog plug-in that installs a “Get Ingredients” button to your recipe card in order to help users create shop-able grocery list and sends them to a grocery delivery service. Our product does not affect loading speed and works well with any recipe plug-in that bloggers already have installed. If you are interested in giving us a try. I’ll forward you to our Marketing Manager Hillary and she can give you an overview of the installation process and exclusive partner benefits!